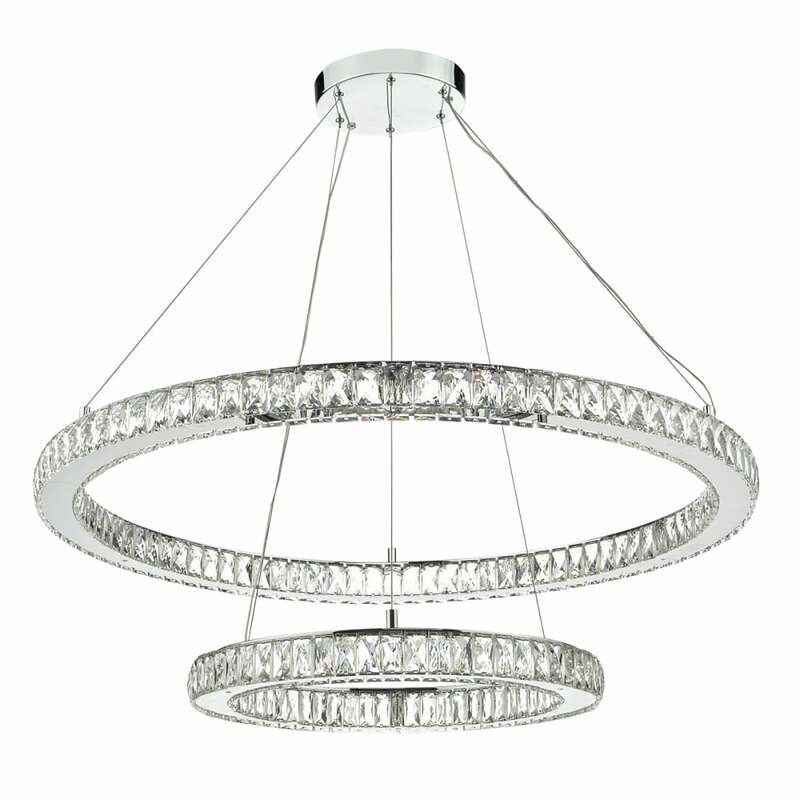 A decorative two tier design ceiling pendant with two polished chrome frame rings with faceted crystal lozenges around the inner and outer sides of the rings. The light is lit by LED modules which are refracted beautifully by the crystals creating a stunning sparkle that would make a great feature light in any modern setting. The rings can be height adjusted at the point of installation and can even be angled at installation to give an abstract contemporary look. This light is double insulated for safe use without need of an earth wire and can be used on a dimmer switch for control over the level of light output.